originating from of environmental protection office. discharged waste through the drilling process or some different industrial. would not cover the intake of energy like electricity along with fuel. and also used for road paving and since construction material. Solids Control just provided one set of 500GPM mud system in HDD area. systems can also be provided based on customers’ working conditions. service, GN can also send out their engineers. mixing hoppers, centrifugal pumps are also included in this system. waste management systems are widely known by North American companies. cutting dryer to treat the WBM especially. 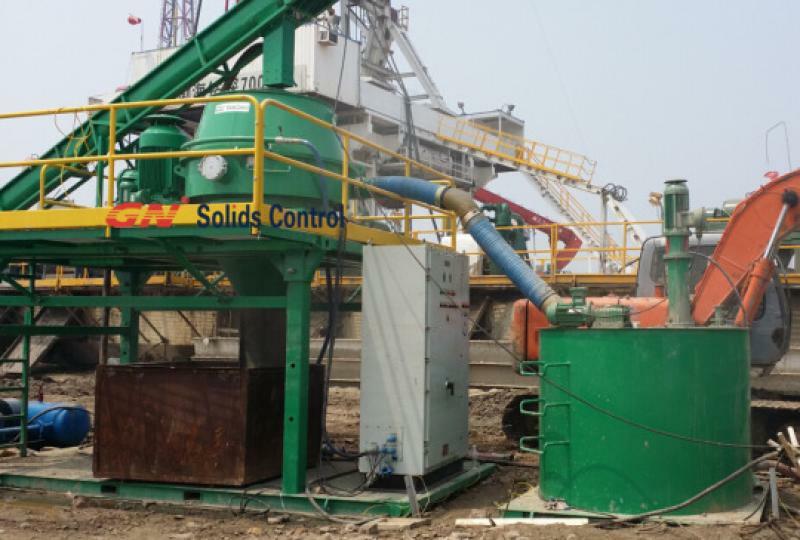 GN Solids Control just dleiveried one set drilling cuttings process system to CNPC jobsite with engineers help commissioning on jobsite also . That is designed tipically for water base drilling mud drilling cuttings and they choose Hi G dryer shaker and decanter centrifuge for process . This is one of the modular design for water base mud drilling cuttings process with Hi G dryer part and decanter centrifuge part . 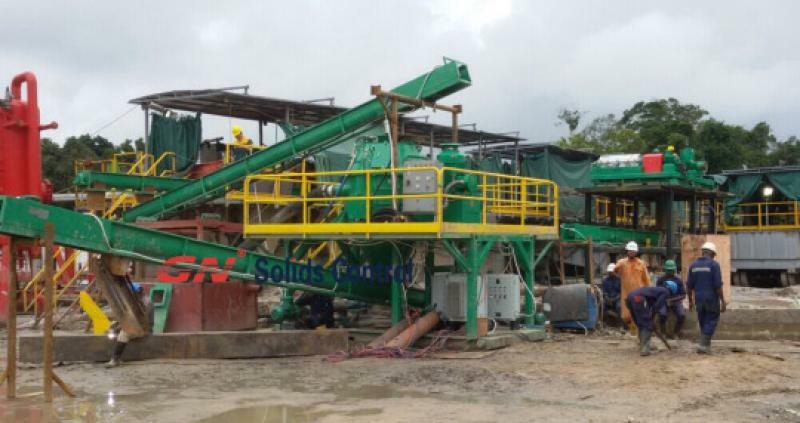 And they choose another modular for oil base mud drilling cuttings process by vertical cuttings dryer and decanter centrifuge also for different drilling conditions . Vertical cuttings dryer is one of the main equipment for drying drilling cuttings by centrifugal force by screen 0.25 to 0.5 mm size . The drying effenciency between 3 percent to 5 percent fluids content inside which will be good for the result . The treating capacity max 50 tons per hour depending on treating requirement . The bowl diameter size 930 mm and feeding by screw auger . Decanter centrifuge will be lay after vertical cuttings dryer for recycle fluids content at speed 30 cubic meters per hour by GNLW363 model centrifuge , it can separate solids 2 – 5 microns by centrifugal force . The bowl diameter 360 mm with bowl length 1271 mm by SS2205 stainless material . The screw bolted tungsten carbid tiles on for helping protect screw impeller for longer working life . Hi G dryer is on economy option for water base mud drilling cuttings process as it is only one third of the price of vertical cuttings dryer . The treating efficiency will be much lower than vertical cuttings dryer but still can be on good option depending on drilling conditions and budget information . 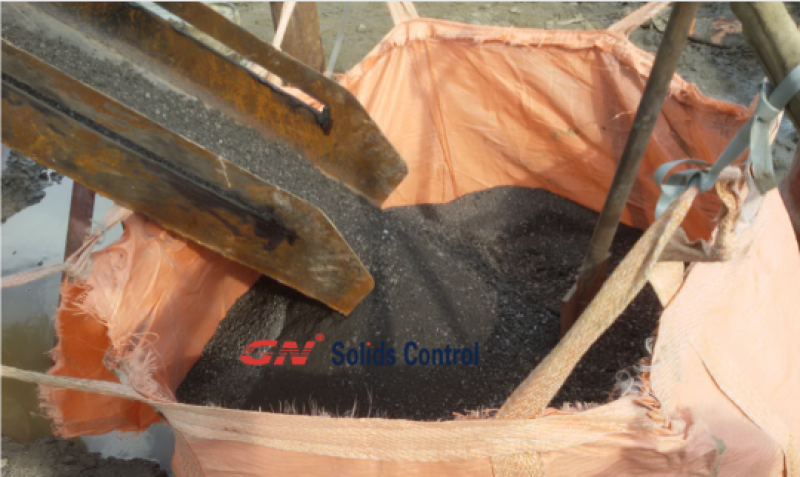 Please contact GN Solids Control for more info. Drilling waste management equipment is designed to dry oilfield drilling cuttings that discharge from shale shaker on solids control system . The drilling cuttings that discharge from shale shaker normally contains some percentage of fluids but we don’t want the fluids content , and wanna to separate the fluids contain out to get dry solids . 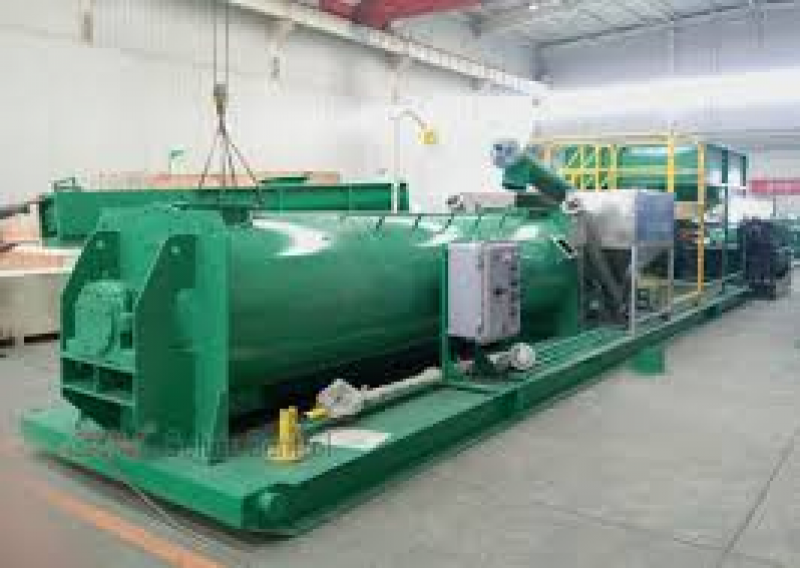 The vertical cuttings dryer is designed by centrifugal force to separate fluids contain out within 5 percent , so that the dry solids can be delivery away for further process . 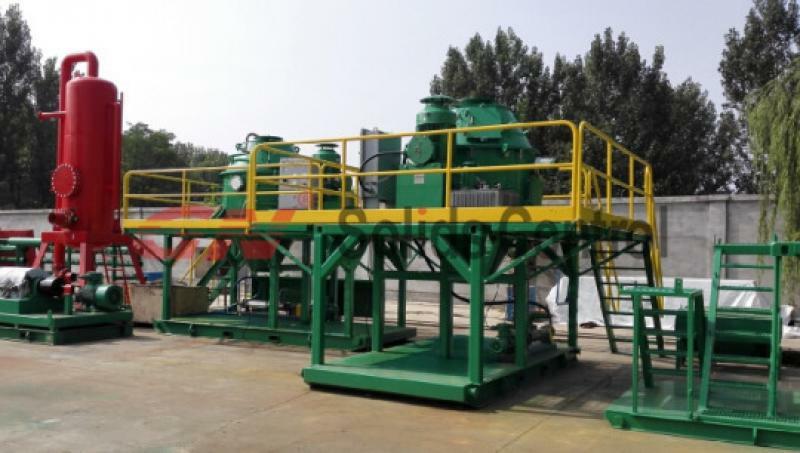 Other then vertical cuttings dryer , there will need oil field decanter centrifuge to recycling the fluids content that separated from oil field drilling cuttings . The fluids contain will contains a lot of fine solids cause screen of vertical dryer minimum 0.25mm size hole , one set of high speed decanter centrifuge will be layed after vertical cuttings dryer for 2 – 5 microns separation , the dry solids out of decanter centrifuge will be delivery away for further treatment together with dry drilling cuttings out of vertical cuttings dryer and fluids contain will be transferred into solids control system for re-use . There can be different of pump for feeding decanter centrifuge , screw pump is the best way to protect solids content to keep more the majority solids can be separated out . The screw pump normally will be lay separately or on the vertical cuttings dryer working frame . It will takes some space on the frame . Screw auger will be used also on feeding of vertical cuttings dryer or transfer other solids content or drilling cuttings to save man power . 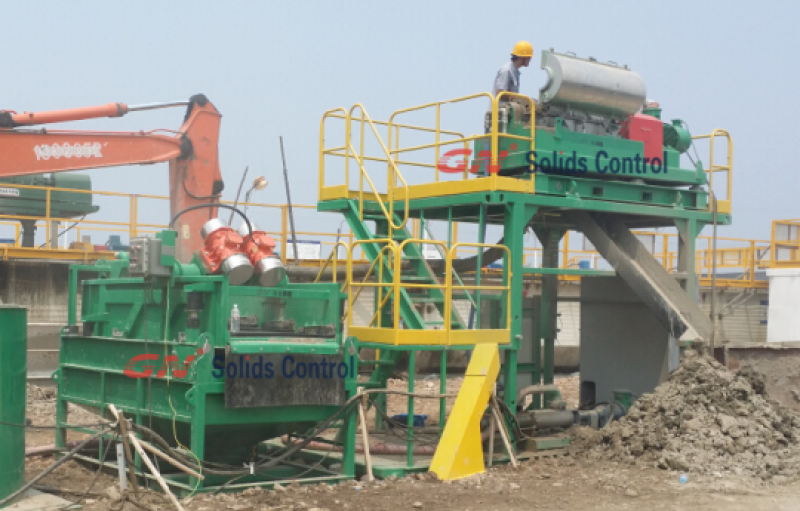 GN Solids Control build a full line of drilling waste management system , there are more information on GN website or you can ring GN office for more information .